Hi guys! 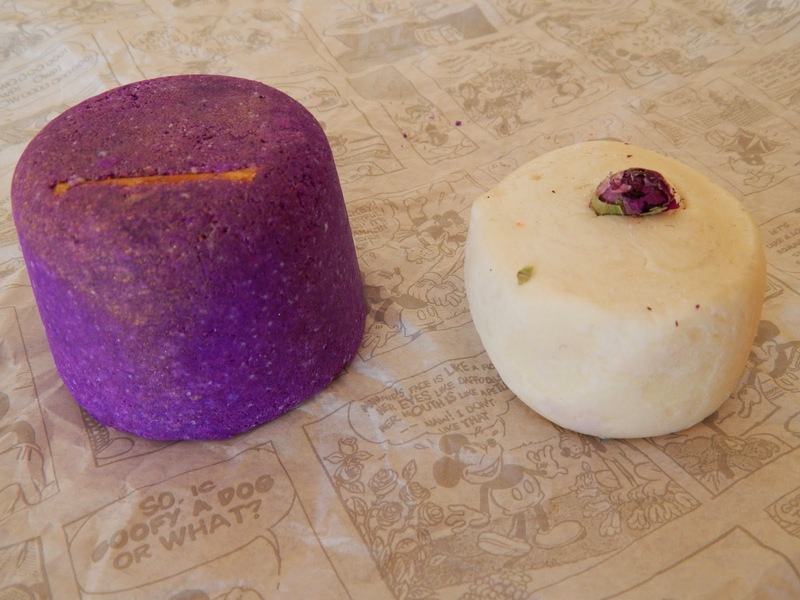 Today I'll be reviewing two gorgeous bath products from my favourite place ever, Lush! Let me introduce Amandopondo, the bubble bar, and Phoenix Rising, the bath bomb. I'm not a bath person, at all. I'm way too restless for my own liking, and after 10 minutes, I want to get out, but who could resist some pretty Lush goodies? I just love them! So on my last trip to Dublin, I got my hands on Amandopondo and Phoenix Rising. 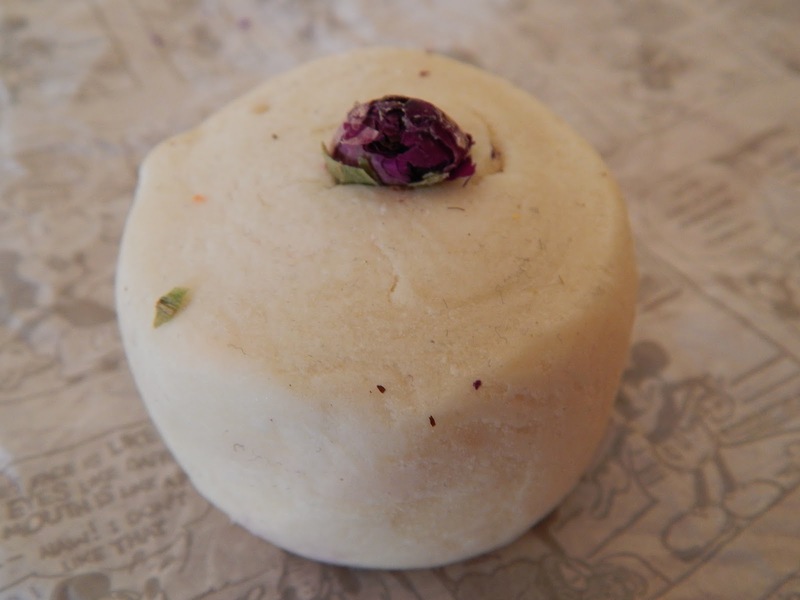 Amandopondo is a lovely, creamy bubble bar with a cute little dried rose in the middle. I crumbled all of it under the tap. This is full of essential oils, mainly lemon and orange. It has Damask rose in it, which is supposed to be therapeutic. Amandopondo smells gorgeous, very floral, which I usually dislike, but it works well here. 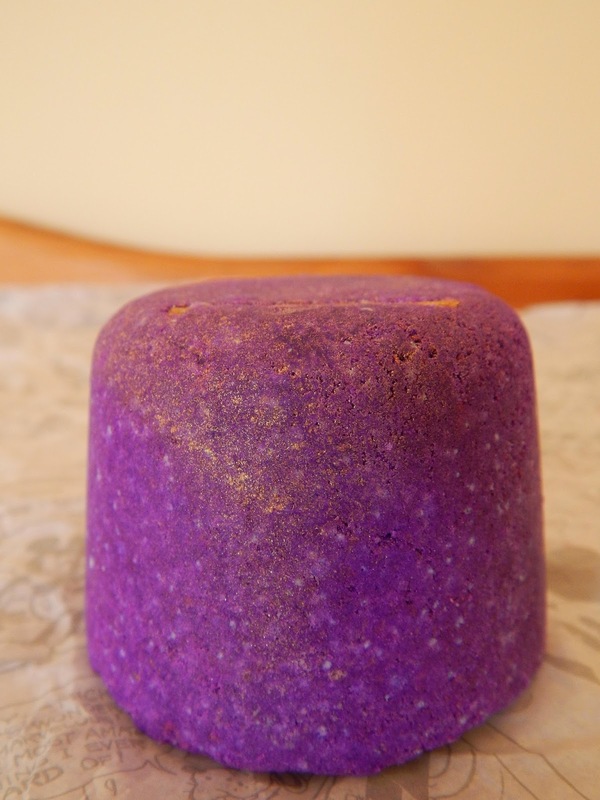 It gave me loads of bubbles and left me feeling relaxed, and with softer skin! 10/10. This costs €2.50. When I saw this in the Lush shop, I was so, so drawn to it! It just looks so magical and beautiful, with its vivid, deep purple, and its golden flecks all the way through it. I referred to this as my Dumbledore bath bomb, because of it's magical look and the Phoenix part of the name, haha. It smells absolutely divine. Very warming and spicy, cinnamon being the strongest note here, and like the floral scent in Amandopondo, something I'm not usually a fan of. It includes cocoa and shea butter, for softer skin. It also includes Bergamot, to uplift and hydrate, Cassia oil to energise, and Jojoba oil to to moisturise. I found it incredibly relaxing and softening. It costs €3.20.